Relatives of a 38-year-old woman, who succumbed to her injuries after her husband splashed acid on her on Friday, talk to reporters yesterday. 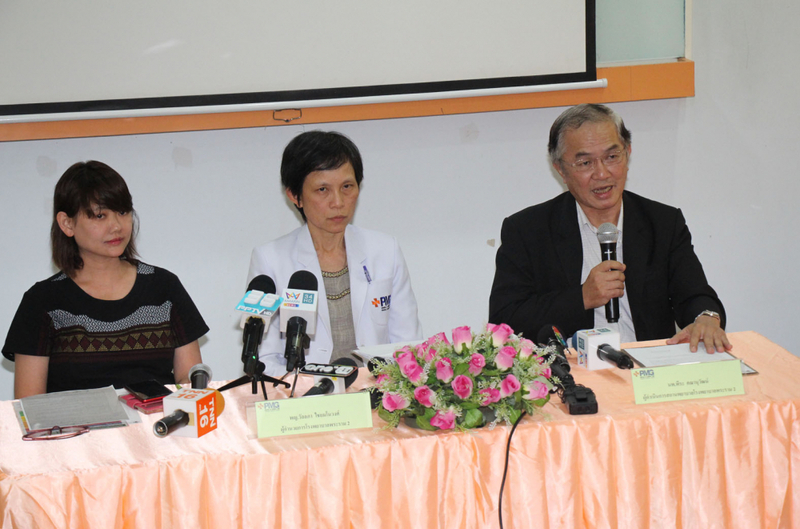 They plan to sue the Bangkok hospital for Bt10-million (S$418,518) compensation, and the lawyer said he would also press for the private hospital to be closed, if possible. Atchariya cited Cholladda Tharawan’s relatives as claiming that she had not received timely treatment at the hospital that would have saved her life, as the staff had reportedly told Chorladda and her accompanying 12-year-old daughter at 5am on November 9 to get treatment at another hospital. Praram 2 Hospital had allegedly claimed the woman’s symptoms at the time were non-critical and that she had expressed a wish to get treatment at Bang Mod Hospital, with which she was subscribed for “gold card” medical care under the universal healthcare scheme. “We have already done our best,” the hospital’s director Wanlapa Chaimanowong said yesterday. 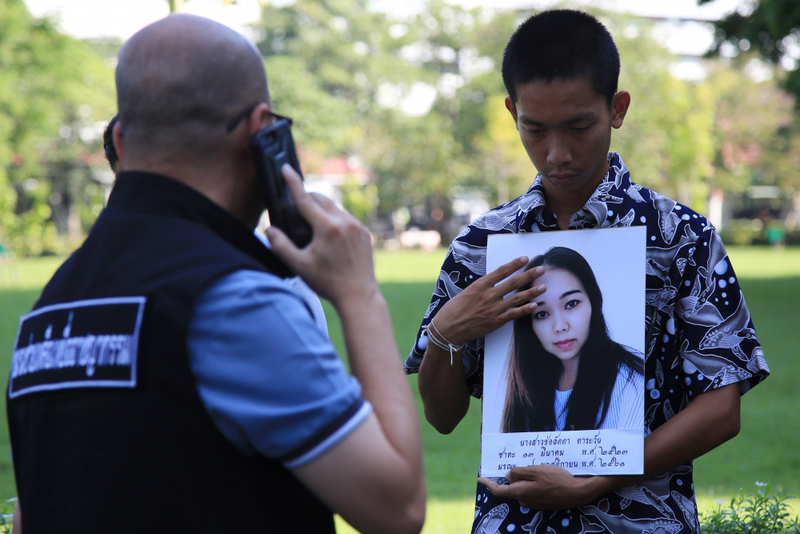 Dr Phira Kananuwat, a surgeon at the hospital, said there were CCTV recordings related to the case that authorities could examine. “Hospital staff did not demand her to register for a patient’s card first. They said she could seek treatments right away,” Phira said. Atchariya said the family had petitioned the director-general of the Public Health Ministry’s Health Service Support Department (HSSD), the president of the Medical Council of Thailand and the president of the Thailand Nursing and Midwifery Council to punish related parties, including Praram 2 Hospital executives, as well as doctors and nurses on duty at the time, as they allegedly “lacked the morality” to assess the patient’s condition and merely looked at her healthcare scheme subscription. According to the ministry’s regulation, the hospital could treat any emergency patients, the lawyer said, adding that it was also unacceptable for it to have allegedly allowed a nurse to conduct a diagnosis. As he presented the petition to HSSD deputy chief Dr Prapas Jittasirinuwat, the lawyer urged the department to take action against the hospital within three days. Prapas, offering condolences to the family, said department officials would later yesterday check whether the hospital had adhered to the Health Facility Act in its actions. If the hospital were deemed to have failed to help the patient to its full capacity, it could be held accountable for a violation of the Act, an offence punishable with a maximum two-year imprisonment and a maximum Bt40,000 (S$1,674) fine, he explained. Dr Akom Pradittasuwan, who heads the Bureau of Sanatorium and Healing Arts, said it would take about one week to investigate the complaint against Praram 2 Hospital. “If it is found guilty, we will forward the case to the Medical Council too,” he said. 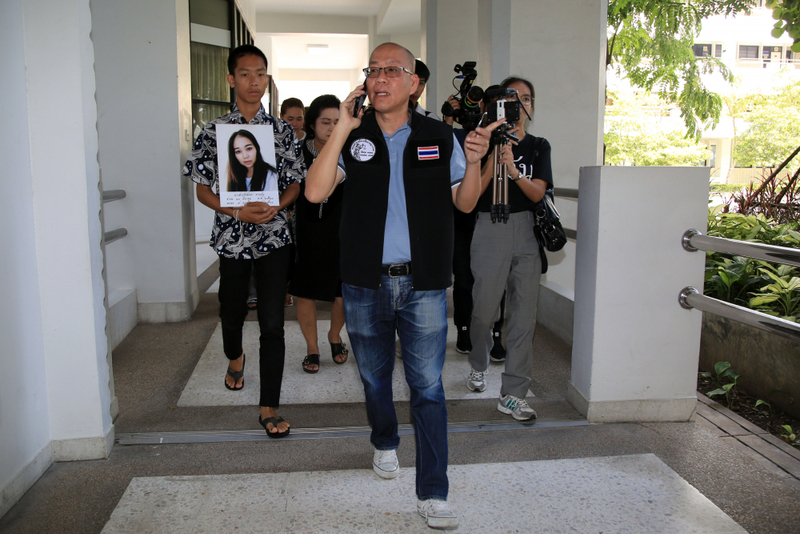 Chorladda’s mother, Thong-art Tharawan, said she had assigned Atchariya to act on the family’s behalf as they wanted the Public Health Ministry to take action against Praram 2 Hospital for denying treatment for her daughter. She also said the hospital had not yet contacted the family to provide any aid. Thong-art also said she would not forgive her acid-splashing son-in-law as his action was “too cruel”. Meanwhile, Chorladda’s husband, 50-year-old Lop Buri native Kamtan Singhanart, was arrested on Sunday night at his friend’s house in Nakhon Sawan’s Banphot Phisai district.